8 Years ago, you would have walked into a Room and shout out Roberto and people would have looked at you wondering why you are screaming out someone’s name. 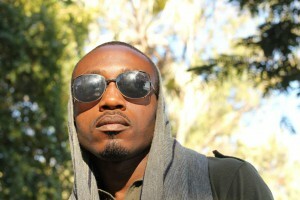 This time around when you walk the streets in Zambia or walk into a CEO’s office and mention ROBERTO, people in the room would nod and agree that Roberto is Zambia’s finest Music export, boasting a total 13 Number 1 hit singles from 3 Albums, Roberto is Zambia’s Number 1 R&B / Afro Pop singing artist. Through the years Roberto has travelled the world, from the streets in London launching his 2012 Single OSANISIYA SO, Sharing the same stage with American Grammy award winning artist EVE in Namibia, Touring East Africa UGANDA and Burundi with Uganda’s Powerhouse outfit RADIO & WEASLE, performing at sold out shows in Botswana & Zambia and topping charts on Radio stations across the globe. After the arrival of Roberto’s 2nd album the world got a taste of Zambia’s crooner melodies and Radio stations from UK, USA, AUSTRALIA, ZIMBABAWE, BOTSWANA, ANGOLA, all opened up their microphones and could not resist playing Roberto Music. 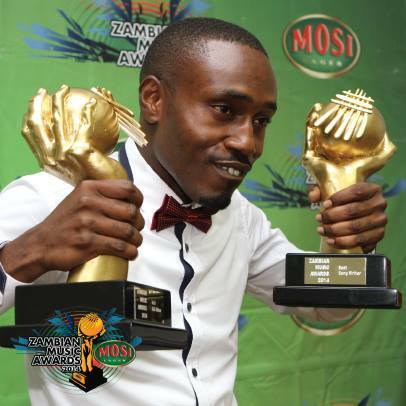 2013 was an amazing year for Roberto.Producing songs like Good Woman, Eponaba which have proven to be great hit,singles both Locally in Zambia and in Africa, receiving 3 Nominations at the 2013 Zambian Music awards. Roberto’s Good Woman song got its biggest break on DSTV’s biggest reality Show Big Brother, cementing Roberto’s presence on the African Continent. The song has been featured on Countdowns across Africa, reaching its peak position on stations in Kenya, Malawi, Botswana, Namibia, Zambia, Nigeria and Uganda. The two time MTV Base Zambia representative also introduced songs like NImakuyewa and Whine it on BIG BROTHER which have proven to be favorites for so many ROBERTO Fans. By the end of the year he received word that he was once again nominated for the 2014 Zambian Music Awards, for BEST R&B ALBUM and BEST SONG WRITER. He went on to scoop both awards, and most recently launched his brand new Vibrant and funky video WINE IT. The video was launched in Johannesburg and has already taken off to be one of Africas most anticipated Singles and videos by the multi award winner. Roberto is now managed by kamikazi entertainment (same management team as Cleo ice queen) , and his new single ,Wine It, has been received well on radio stations all over Africa. @Roberto….. you are simply the best brother!! …your future is certainly BIG ! !